Home News General Fr O’Donnell R.I.P. 04/01/2012 General	Comments Off on Fr O’Donnell R.I.P. The death took place in Dungarvan last week of former school chaplain, Fr. Columba O’Donnell, a man fondly remembered by students, staff and parents from his time here at Good Counsel College. Fr O’Donnell had been serving as chaplain in our sister school, St Augustines for the past number of years and his popularity there was no less than it had been in New Ross. The great affection for the man was reflected in the huge turn out of students, past and present, and of local families whose lives he had enriched with his infectious enthusiasm and optimism. 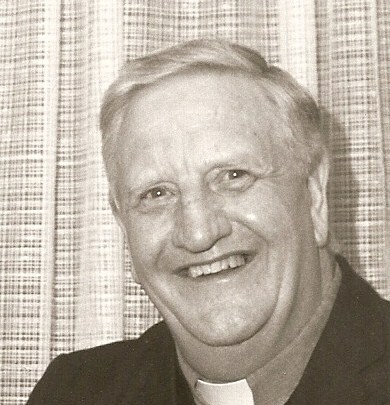 While chaplain of Good Counsel, Fr O’Donnell made it his goal to visit the family home of every student each school year, an enormous undertaking given the numbers and the geography involved but one which he carried out successfully and with great rewards in the appreciation shown by all those he visited. For any member of the school community who needed a little help and support, Fr O’D was always there to provide a listening ear and a kind word. He will be sorely missed by all whose lives he touched in the various communities he served. Our sympathies are extended to his family, his Augustinian brothers and to all his friends.